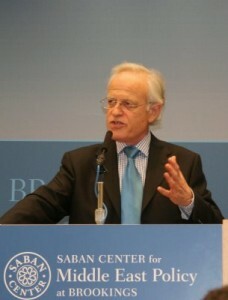 When publicly called out to explain the data theft on National Public Radio, Indyk was incapable of explaining how his research division obtained American business secrets—and instead answered aphilosophical question about free trade that had not been asked. (Listen here) Thanks to recently declassified FBI files, it is known that Israeli Trade Minister Dan Halpern surreptitiously obtained and passed the stolen secrets to AIPAC, allowing the Israel lobby to end-runstaunch opposition to the near-unilateral concessions. Complaints about Israeli theft of U.S. intellectual property, including pharmaceutical patents to export copy-cats into the U.S. market, have been ongoing. Since the year of the theft, the formerly balanced U.S.-Israeli trading relationship has turned into a chronic yearly deficit for America. From 1985 through May of 2013 (the latest data available), the deficit has reached a cumulative $100 billion. The recently departed U.S. Trade Ambassador refused to provide compensation to victimized industries. Indyk is once again in a position to throw America under the bus. Concerned observers must begin wonder how much it will cost.